The Palestinian issue was perpetually of paramount importance to the Muslim Brotherhood Movement and its founder Imam Hasan al-Banna. It lay at the heart of their interests even from the very beginning of the Movement. 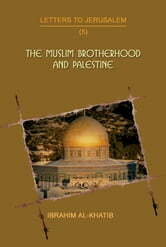 The Muslim Brotherhood maintained scrutinizing the escalating situation on the Palestinian scene. With the expansion of the circle of danger and the succession of Zionist multitudes migrating to Palestine, the Movement was in a race against time exerting themselves to awaken the conscience of the world and of the Muslim Ummah.Their aim was to motivate the latter nation to mobilize all its energies in order to be able to confront such an abrupt danger which as foreseen by the Movement since its early stages was not targeting Palestine alone, but the whole Ummah as well.